We said it on the day, we said it on our honeymoon, and now looking at the photos which have just arrived – our wedding COULD NOT HAVE BEEN ANY BETTER. Thank you, thank you, thank you to Anna, Rachel and Fiona for being so instrumental in making it such a fabulous day. I read a lot of reviews of resorts and wedding planners once Nick and I decided we wanted to get married in Thailand (we’re from Australia and England, and Thailand’s halfway! ), and Take Us To Thailand really stood out – both from the glowing reviews, and looking at the incredible pictures on their website. I couldn’t be more convinced we made the best decision of the wedding (other than to get married!) by hiring them. 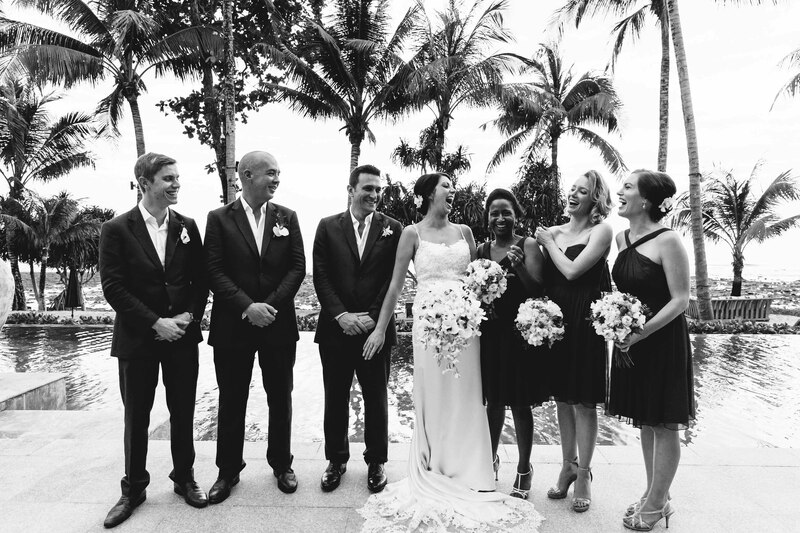 – They know what they’re talking about: all of their recommendations – the resort, the celebrant, the flowers, different nearby accommodation, the DJ, the resorts to stay at when we went out there for a “recce” 6 months before – all of it was absolutely spot on. – The quality: you know you’re going to get an incredible wedding – look at all their photos!! It will look outstanding, the food and drink will be amazing, the location will be stunning – so many people told us it was the “best wedding ever!”. – The LACK of stress: no matter how involved you want to be in the planning and the design of it all, they’re going to ensure you feel comfortable and relaxed in making all the decisions (see the above two points). There was no worrying about any of the coordination or the quality. I was a fairly hands off bride, and they just presented me with my options and I was able to choose. Having them there on the day was incredible, I didn’t need to worry about anything, and could just concentrate on enjoying the day and our guests. – They go the extra mile – organising child care for during the reception for our little guests from 6 months – 6 years (VERY happy parents); helping my bridesmaids find great places for a hens (cooking class with an amazing view, wonderful poolside cocktails and then a trendy bar for drinks and dancing); helping us find accommodation in the same area at all budget levels for our mix of guests; recommending and booking my mum’s bday dinner which was the week after; emailing all the guests practical advice about Phuket. And finally – they’re LOVELY. A wonderful combination of professional and also friendly. They talked clearly about budget and provided completely accurate estimates, negotiated discounts with all the resorts, and made the effort to fly to Sydney to meet with me while I was on holiday there, as well as meeting twice in London, and many Skype dates and emails. It was an EXTRAORDINARY day, a truly memorable wedding and we really really can’t thank them enough for their incredible service. Thank you so much and all the very best in the future.